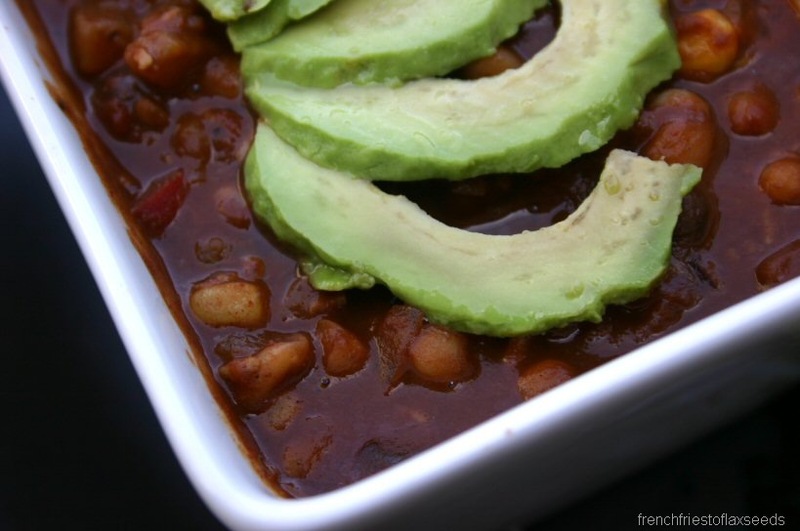 You are here: Home » Who Eats Chili On A Hot, Sunny Day? Who Eats Chili On A Hot, Sunny Day? It is damn hot out there today – much like the heat wave we had at the end of May. This time, it’s much more acceptable, since it’s actually summer. But not so fun when you have to drive around in your black car. 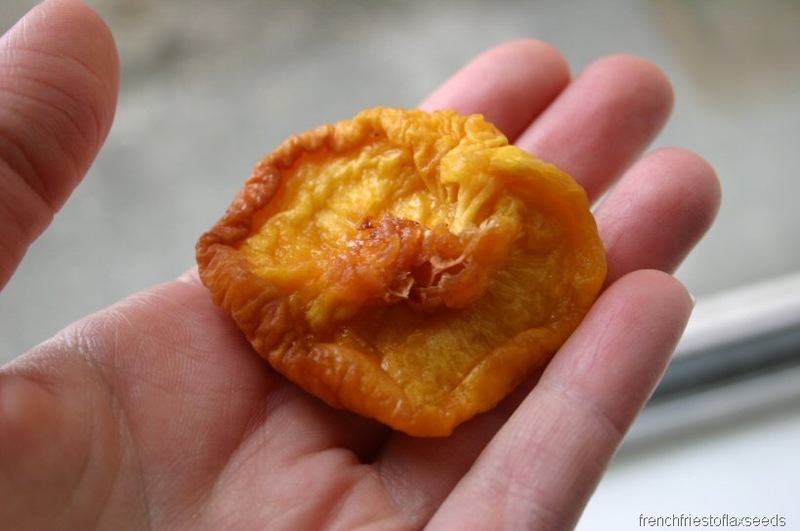 Look what I found at the grocery store today – dried peaches! I had to pick a few up, and of course, try one out when I got home. The have an aroma that smells like peaches, yet also smells somewhat like feet. I don’t know how to explain it. But they taste like you would think a dried peach would taste. A little on the pricey side, fun to try out. 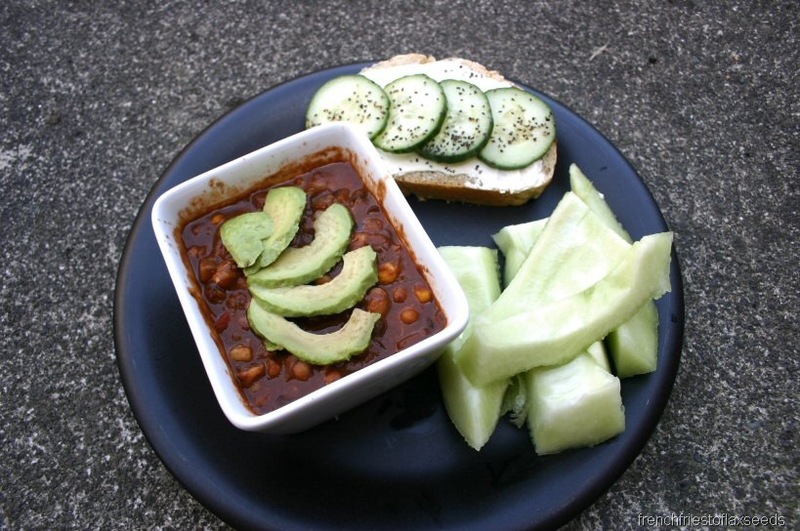 So, even though it’s hot out there, and even a little warm in my place, I still had leftover ED&BV Cocoa-Coconut Chili for lunch. Just a little bowl though, with avocado & a squirt of lime. I also had a slice of farmer’s market onion & rye bread, with Laughing Cow and cucumber. Can’t let good bread go to waste! And some honeydew melon slices. And now, in true Marianne fashion, I’m in a hurry to finish off my dessert, do my hair, put on a face, and head out the door to the pizza party. Time management is not my forte, yet I always get it done in the nick of time. Have a great Saturday evening everyone! 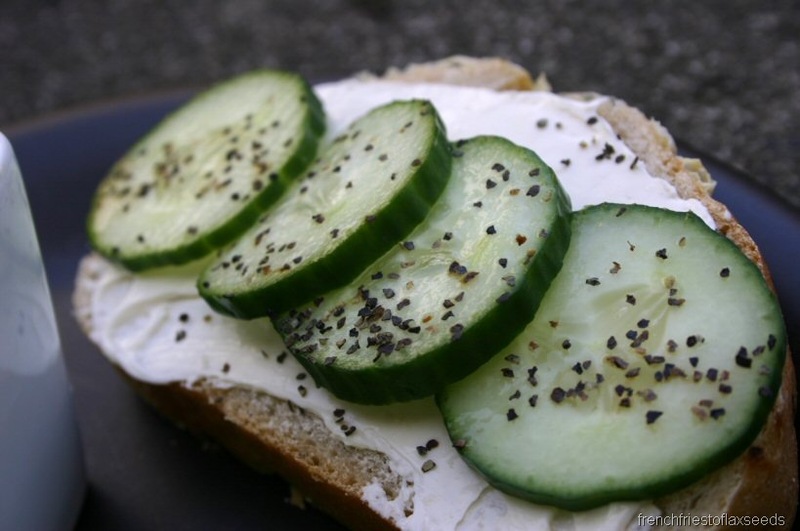 Mmm, I haven’t had a cuke sammie in ages! I’m gonna have to get on that. Haha, I, too, have no regard for the temperature outside when it comes to what I eat–I crave what I crave, no matter what the thermometer says! I love eating hot foods on hot days. Doesn’t matter to me. That chili looks so worth it too! YUM! I’m loving the refreshing melon too, perfect for summer.